Have a long shopping list and don’t know where to start from? Worried that you might be wandering around the city searching for the goods you need to buy? Well, shopping has become easy and fast with the number of Bhat-Bhateni Super Markets (BBSM) around the city. These departmental stores provide variety of products from groceries to cosmetic to clothes to electronic equipments to vegetables and fruits. The place where you can get everything you need under the same roof, BBSM is a solution for every problem related to shopping. Bhat-Bhateni has been serving its customers since 1984 and has transformed from a 120 sq. ft. cold store to Nepal’s leading retail supermarket with average of serving 40,000 customers daily throughout the years. Started in the year 1984 as a single shutter cold store, this brainchild of Mr and Mrs. Min B. Gurung has developed into six leading retail and departmental stores in the Kathmandu valley and one in Pokhara. Gurung completed his university education and had a successful career in banking, however, he was destined to be his own boss rather than working for others. The courage and vision of this farmer’s son from Khotang paid off when he became able to expand the cold store into a two floor (3,000 sq. ft.) supermarket in 1992. Few years later in 2008, he set up another superstore at Maharajgunj and in 2011, he opened three more stores in Kathmandu, in Koteshwor, Chuchepeti–Boudha and Krishna Galli–Pulchowk, respectively. 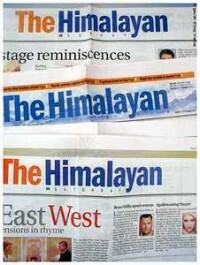 His store has gone to being a national store after 2012 when he opened another branch store in Pokhara. Bhat–Bhateni has set a benchmark for the business with over 2,200 combine staffs helping the customer chose between varieties of products in six different stores. The super market offers wide range of products from around 750 local and international suppliers that include wide range of groceries, fresh fruits and vegetables, range of leading international liquor, toiletries, cosmetic brands, kitchenware, clothing, sports, toys and electrical items. Also, some of the stores house jewelry shops that offer variety of silver and gold jewelry designs to chose from. The store has launched ‘Farmers to Family’ program which provides a platform under which farmers can directly sell vegetables to customers in Pokhara. This program has enabled the customers to get fresh vegetables at cheaper prices than before and also provide free transport service to farmers who come to sell vegetables at the store, however, the store has only three to twenty percent profit margin from the customers. Bhat-Bhateni Club Card, ‘a loyalty card’ of Bhat-Bhateni Super Market is also offered to the customers and they could apply for the card online. The store award one point for every 500 rupees spent and the point is equivalent to at least 6.5 rupees of shopping vouchers. These vouchers will be awarded at the end of each quarter and for more than 200 points, surprise gifts might be sent on special occasions. Also, gift vouchers for Rs 100, 500 and 1000 could be purchased at the Bhat-Bhateni Maharajgunj store. 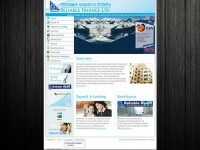 The dedicated and diligent staffs helps the customers chose and also provide speedy services to them. 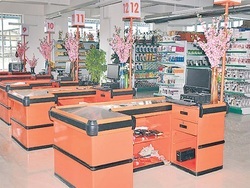 However, due to the maximum number of customers shopping in the supermarket, the number of payment counters appears to be less and might take longer time usually during the peak hours (especially in the evening). Besides that, the services provided at Bhat-Bhateni Super Market has been able to satisfy the customers. An ambitious expansion plan of the store will see a warehouse and wholesale unit opening soon in Baluwatar and many more stores opened in Kathmandu and across Nepal over the next few years. The stores remain open from 7:30 am to 8:30 pm every day and also provide seven-day return/exchange policy.